Want to give a one of a kind business gift this holiday season? Average people have 3 calendars in their home. Wall calendar ranks the highest and is looked at the most according to surveys. 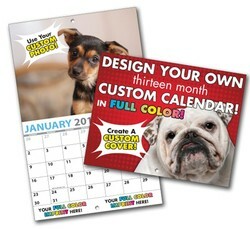 Create a custom wall calendar with a personalized cover and custom images for each month. 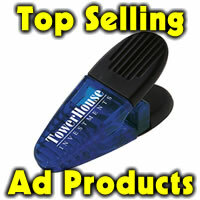 Great for businesses, communities, fundraising, organizations and more. Calendars are printed in full color (four color process) on 80# gloss text. The cover is UV coated 8pt C1S. These calendars are 11 x 17 open and 8.5 x 11 closed. Bound by two stitches and have 1 hole drilled for easy hanging. Made in the U.S. Photos must be 300 dpi or higher to produce clear product. 4.95 ea; 100 4.05 ea. ; 300 3.13 ea. ; 500 2.36 ea. ; 1000 1.42 ea. ; 2500 1.16 ea. ; 5000 1.04 ea., 10000+ .94 ea.